This girl is reacting to something that she thinks is gross. John's gross salary is $40,000 a year, but he has to pay taxes and social security contributions, so his take-home pay is significantly lower. The number of errors in this work suggest gross carelessness on the part of the freelancer. The old lady's gross expressions shocked everyone. Stop picking your nose; it's really gross! This column shows the gross and the next column shows our profits after deductions. The company grossed $1.5 million last year. gross domestic product: the total value of goods and services produced by a country in one year. Usually shortened to GDP. Example: “It isn’t a problem for a country to be in debt as long as it has a healthy GDP.” Gross national product (GNP) is similar but slightly different. You can read about the distinctions between the two concepts here. Watch this Gross Science video from PBS, the public TV channel in the US (our equivalent of the BBC). The host explains the disgusting details of why skunks smell so bad. Before you hit play, be warned: it’s gross! Gross, as an adjective meaning ‘large,’ dates back to the mid-14th century, but the meaning soon evolved to include ‘thick,’ as well as ‘coarse,’ ‘plain,’ and ‘simple.’ It comes from the Old French gros, which meant ‘big,’ ‘thick,’ ‘fat,’ or ‘tall,’ but also ‘coarse,’ ‘rude,’ ‘awkward,’ and ‘arrogant,’ as well as ‘important’ and even ‘pregnant.’ In turn, the French word comes from the Late Latin gross(us), which meant ‘thick’ or ‘coarse.’ It is related to the Spanish grueso and the Italian grosso, but most linguists don’t think it’s related to the German adjective gross, which means large. A gross, meaning a dozen dozen, also evolved from the French, in this case grosse douzaine (a large dozen) in the 15th century. The economic meaning, without deductions, evolved from a figurative sense of coarse (general, not in detail) in the mid-15th century, and the verb and noun with this sense evolved from here. Gross national product was not used until 1947. Gross, meaning disgusting, first appeared in the US in the mid-20th century. 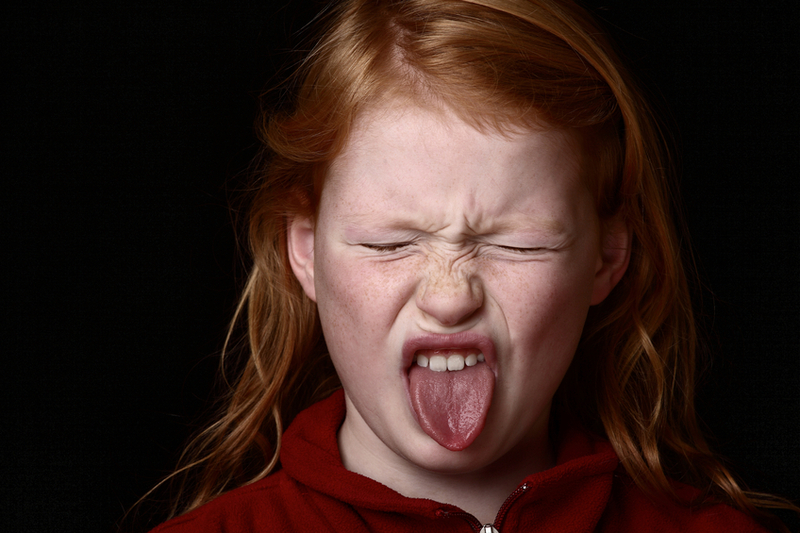 The verbal phrase gross out was first used in the 1970s.